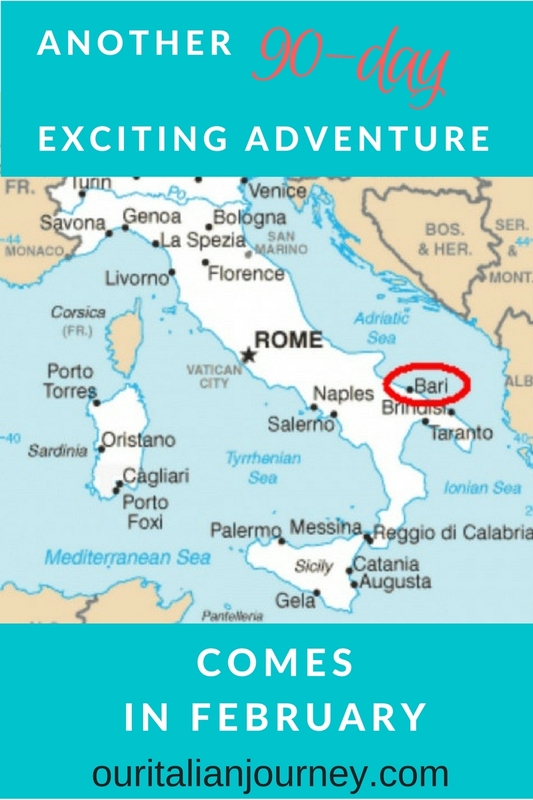 Our next 90-day adventure begins on February 6, 2017 through Southern Italy. Yup, you guessed it, our Italian passports have still not been issued. Unfortunately, because we are living in Arizona, we were obligated to go to the Los Angeles, California branch for citizenship approval. We did receive that approval back in November 2015. This branch (the largest in the United States) is so backlogged that many of us are waiting. Waiting for the email to come get fingerprinted and photographed. So meanwhile, we are taking this “opportunity” to go and explore areas of Italy we have not seen. We want to investigate areas (north or south) we might prefer to live. Well, I say “live” as in our full year test to see if we would like to live permanently abroad. This time, we are splitting our 90-days with two cities. 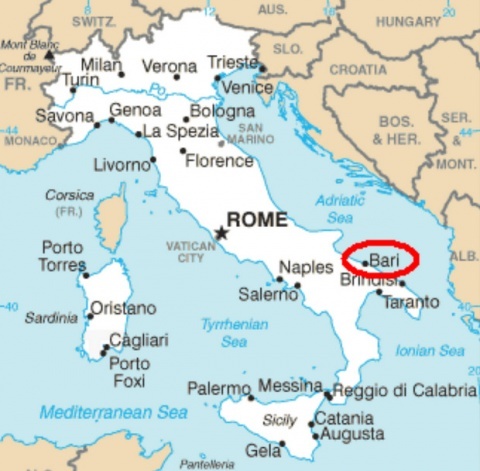 The first half will be in Bari which is located on the Adriatic coastline. 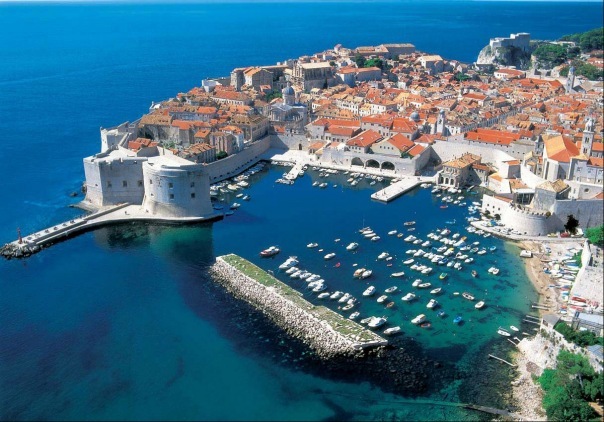 It is located in Southern Italy, just north of the “heel” area. 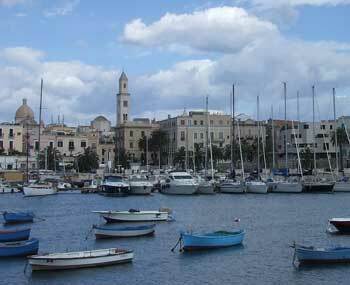 Bari is a port city and is the capital of southern Italy’s Puglia region. They have several castles in the area that we are excited to see. 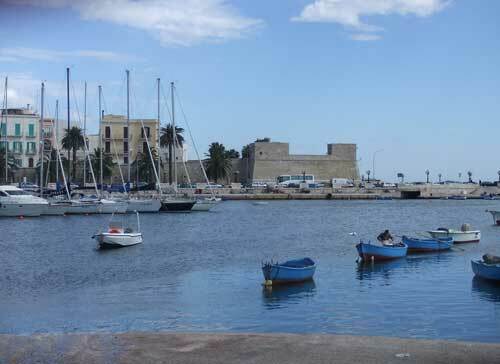 We will use this city as a “home base” in which to explore other cities in southern Italy. We have not yet decided where our other “home base” will be located. It will be on the western coast of Italy but as far as a definite destination; both you and I will have to wait to find out. Suggestions are always welcome! !